Don’t Miss Lincoln City’s Finders Keepers Season Finale this May 28-30! From its stunning coastline to its world-class cuisine and beach home rentals Lincoln City is known for many things. This seaside town along the Central Oregon Coast may be most famous, however, for the glass floats that are “dropped” on the beach during Finders Keepers season each year from mid-October through Memorial Day. During this time beachcombers can search for their own unique piece of glass art anywhere along Lincoln City’s seven-mile stretch of coastline from Siletz Bay to Roads End. And now the season is coming to an end! If you want your chance to find a glass float on the beach this year you’d better plan on attending the Finders Keepers Season Finale this May 28-30 in Lincoln City. 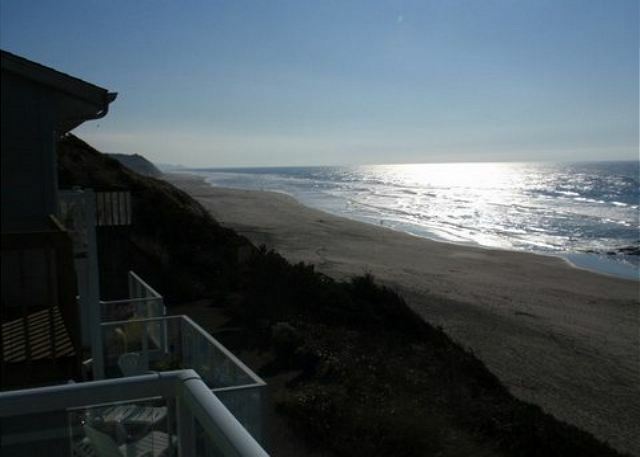 Once you book your beach vacation rentals Oregon and its beautiful central coastline will do the rest. These hand-crafted glass artworks are modelled after the blue and green glass floats once used by Japanese fishing boats to cast out their nets, which were often found washed up on the shores of Oregon beaches. Fishing boats nowadays use much less fanciful plastic floats to cast out their nets, but artists in Lincoln City have been celebrating the art of blown glass floats for nearly 20 years. Finders Keepers was concocted in 1997 to celebrate the upcoming new millennium, and artists spent two years preparing for the inaugural season with thousands of brightly colored glass floats that were each numbered and signed. The months-long event was so successful, and attracted so many visitors from around the nation, that it became an annual occasion long after the turning point of the millennium had come and gone. · Only search for floats below the embankment and above the high tide line. · Set out from public beach access points. · Search any time during daylight hours as floats are “dropped” throughout the day. · Never search for floats after daylight hours (float faeries don’t do drops after dark). · Do not search for glass floats in unsafe weather conditions. · Keep your eye out for other kinds of glass art such as sea stars, shells, crabs, coins, and sand dollars that are placed on the beach during special drops. · If you find a numbered glass float call (800) 452-2151 to register it and receive a Certificate of Authenticity as well as information about the artist! · If you don’t find a glass float on the beach, don’t worry! You can purchase floats and other unique pieces of glass art from participating local artisans such as Alderhouse Glassblowing, Fernhill Glass, Flanigans Glass Gallery, Gathering Glass Studio, Glass Oasis, Glass Quest Studio, Lincoln City Glass Center, Mor Art, and Ocean Beaches Glassblowing and Gallery. Don’t delay in booking the kind of vacation homes and condo rentals Lincoln City is known for, so you and your loved ones can enjoy the glass floats that truly put this town on the map!